Hard wearing and durable Tritan TM plastic. Flip lid top and carry handle. 750ml capacity with infuser stick. 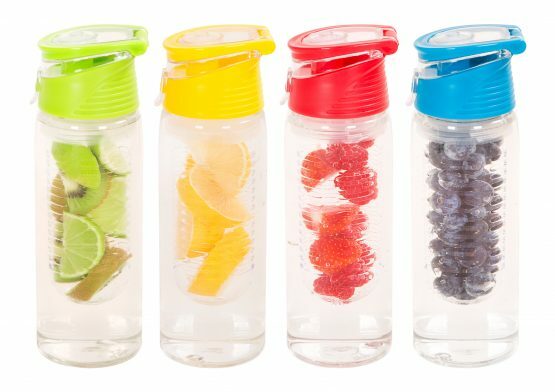 Add your favouite fruit for a refreshing and healthy fruit-infused water. Bottle is dishwasher safe. Handwash cap & infuser stick.